The Aeolian Islands are the seven small occupied Italian islands off the northern shore of Sicily towards the tip of Italy’s toe. The Aeolian Islands offers an outstanding record of volcanic island building together with destruction with on-going volcanic wonders. Researched since the 18th century, these islands have provided the science of volcanology with instances of two type of eruptions namely Vulcanian and Strombolian. They have thus featured highly in the education of geologist for over 200 years. The site still continues to enhance the field of volcanology. 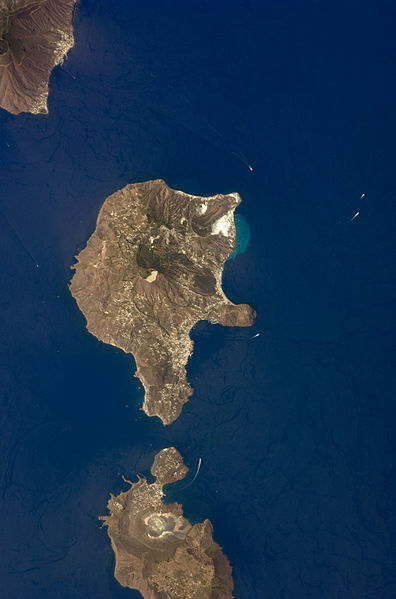 The seven islands and various uninhabited islets of the Aeolian archipelago surprisingly had been designated a UNESCO World Heritage Site in 2000. Its volcanic origins had left a histrionic legacy of black-sand beaches with smouldering craters and splintered rocky coastlines. From the Spartan conical Alcudi, with donkeys as the only means of land transport, to the international jet set playground of Panarea, individuals can identify their own charms. Towards the north of Sicily in the Tyrrhenian Sea, the archipelago had been named after Aeolus, god of the winds, by the Greek immigrants. One will find two active volcanoes, Stromboli and Vulcano with volcanic activity of some kind like steaming fumaroles or thermal waters on most of the other islands. During winter storms, the island seems to be cut off for days. The island like several coastal communities having a total population of 10,000 tends to have various characters based on the season. The count increases to 200,000 during summer, with ports filled with yachts, bars and beaches with very beautiful as well as very wealthy visitors. The rich and famous tend to sail in to Panarea in August, on their multi-million euro yachts to live in villas or €500 a night hotel rooms. Lipari is the largest of the Aeolian Islands and is also the only one having a sizeable town with a considerable year round population. Pumice quarries have taken big bits from the mountains but mining has been banned recently with plans in creating a geo-park with eco-museum as well as thermal baths. Though the town has its own appeal, the fortified acropolis, a few flower hung valley together with the pretty harbour of Marina Corta, the place does not seem to be too sophisticated. The coast around is rocky, wild and undeveloped with splintered rocks offshore and has an amazing view. It is not possible to access by car but can be reached on foot at Valle Muria where there is a beach or at Punta delle Fontanelle. The highlight of the coastal is the footpath along the coast between the Terme di San Calogero and the kaolin quarry which is at Bagnosecco. Here the surface of the creamy white kaolin is indigo, violet, orange, mustard, blue and verdigris due to the emissions from steaming sulphurous fumaroles. The islands are very famous as a holiday destination providing sunshine, beaches together with natural beauty. Besides sunbathers, they also tend to draw thrill seekers. The archipelago had been formed by volcanic activity with two of the island still active volcanoes. Though this could put off some of the travellers, there are several others who find the dramatic scenery very appealing, the hot mud bath together with the opportunity to hike to the craters of Vulcano and Stromboli. Though the Aeolian Islands are not mostly well known to English speaking tourist, they tend to be the most amazing places for a relaxed holiday.